Unfortunately, these Logic PRO Refill Capsules are currently unavailable in this strength and flavour. They will be coming soon to Vape Mountain, so watch this space! In the meantime, this flavour is currently available in 6mg, 12mg and 18mg strengths. 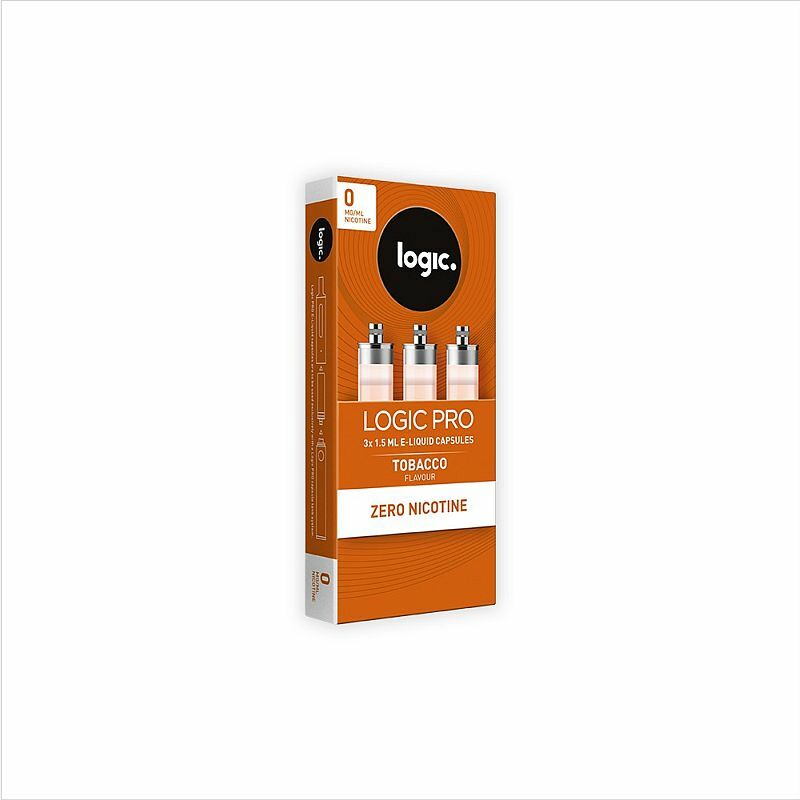 For use with the Logic PRO E-Cigarette, the Logic PRO E-Cigarette Refill Capsules Tobacco 0mg are filled with the classic and satisfying flavour of rich tobacco. Each pack contains three e-liquid refill capsules with 1.5ml of e-liquid, designed to be spill-free for pop-and-go vaping. This pack of Logic PRO refill cartridges provides you with three capsules that have 0mg of nicotine per millilitre of fluid. This e-liquid is completely nicotine-free, while other Logic PRO capsules are available with 6mg, 12mg or 18mg of nicotine per ml. Logic PRO pre-filled e-liquid capsules are UK-made using European-sourced ingredients and food-grade flavourings. All Logic products meet the high quality and safety standards required by European regulation.